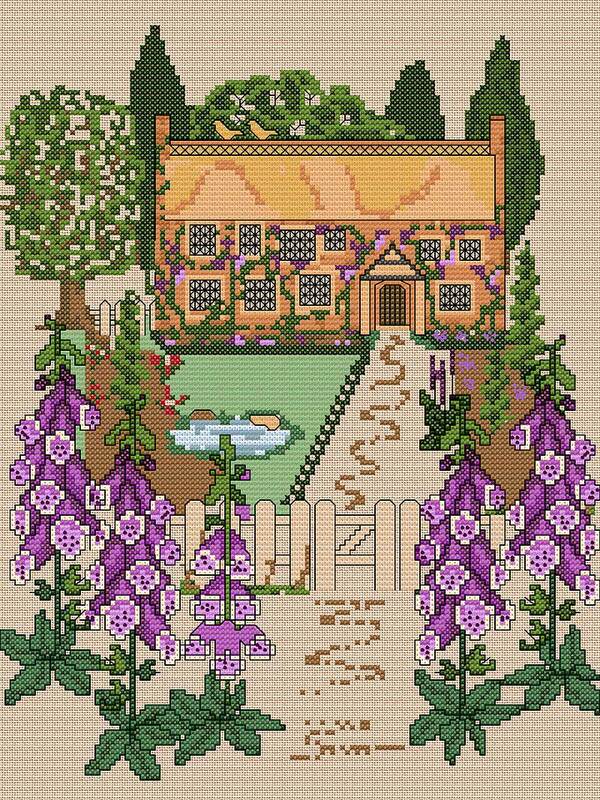 This pretty project was inspired by a lovely house I see when driving up the Fosse way – it is worked in counted cross stitch with a little added backstitch for definition. There are a few fractional stitches so that you may find this is easier to work on linen rather than Aida. The fabric choice is yours of course, but remember that the fabric size required will depend on the thread count of your chosen material.